Awaking to a dusky pink sunrise I sat up to watch the wildlife springing into action through the ingenious see-through mesh walls of my tent. From the comfort of my bed I watched buffalo roaming across the flood plain, whilst wallabies bounded past in what seemed an endless stream. This was no ordinary tent – I was staying at the wonderful Bamurru Plains, a wilderness lodge featuring 10 tented cabins. 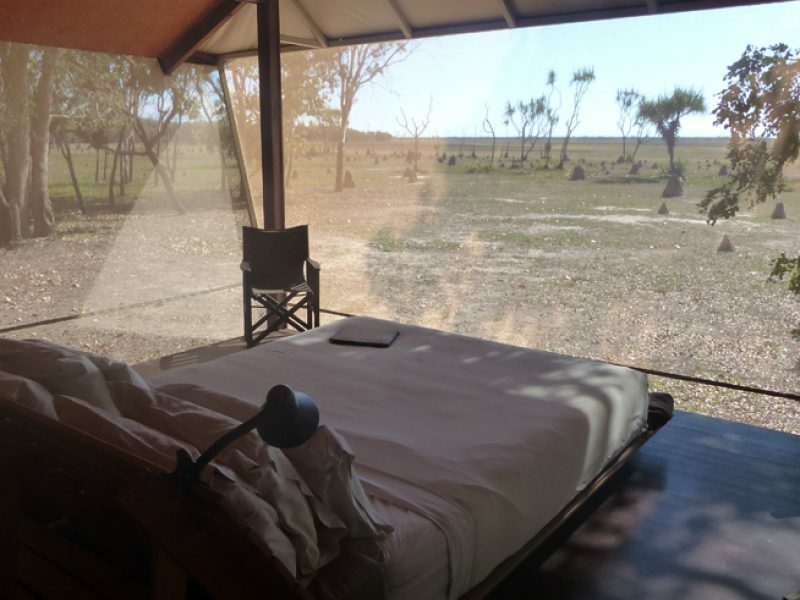 This safari-style set up sits on a 30,300 hectare cattle station at the very edge of the flood plain near Mary River, in Australia’s Northern Territory. And despite an unusually arid flood plain following an unseasonably dry ‘wet season’, the area was still teeming with wildlife. During my short stay I saw countless bird species, including the snake necked darter, jacana, little kingfisher, white bellied sea eagle, rainbow bee-eater, magpie goose, whistling duck and both cattle and intermediate egrets – to name just a few. 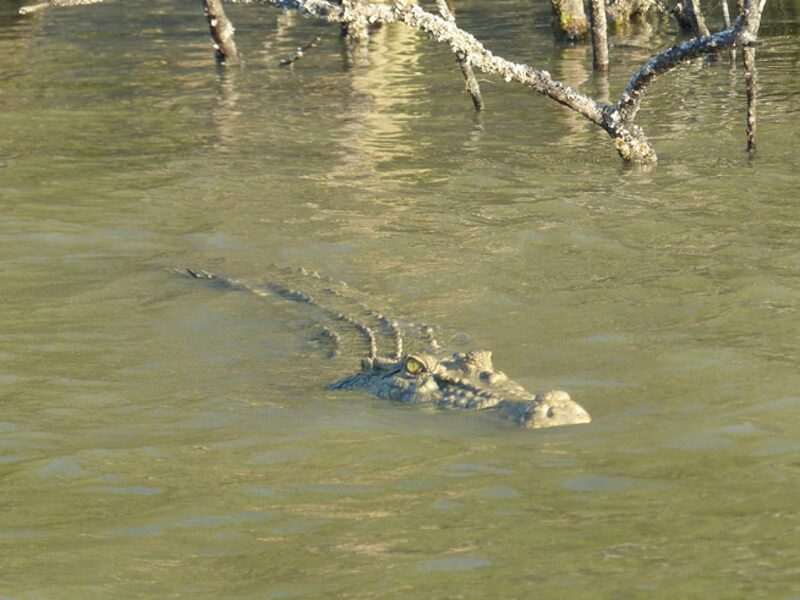 The area is also renowned for its crocodiles: the Mary River has the highest population density of estuarine (saltwater) crocs of any river in Australia. They say there is at least 1 every 100 metres! We learned the fascinating story behind the termite mounds that pepper the landscape like castles and came across feral pigs and wild horses (brumbies). The Brahman cattle and water buffalo were ever present, as were wallabies and geckos. We found a couple of snakes and I even shared my shower with a friendly frog one morning! Bamurru really does offer a total immersion in the Australian Outback – and if you’re prepared to embrace this unique style of wild bush luxury then you will be richly rewarded. During a normal dry season the lodge uses airboats to explore the floodplains, but the lack of water this year meant alternative activities were on offer, including safari drives, guided walks and most memorable, a boat trip on Sampan Creek. In this offshoot of the Mary River we came across 7 large crocodiles, one of which came a little too close to our boat for my liking! Our nerves were soothed with canapés and wine as we cruised back through the glorious colours of sunset, returning to the lodge in time for another gourmet dinner. Perhaps best of all (aside from the wildlife, the landscape and the unbeatable level of service from the Bamurru team) was the chance to relax – after a whirlwind week touring the incredible sights of Nitmiluk and Kakadu National Parks, exploring billabongs, gorges and ancient indigenous rock art against a spectacular backdrop of red earth and rugged escarpments, a little time to sit still and reflect was required. The sounds, smells, and heat of the outback are every bit as memorable as the stunning landscapes, and listening to the didgeridoo playing as we sat round the fire after dinner, admiring an immense display of stars overhead, I knew this was one outback adventure I would never forget. More information about Bamurru Plains. 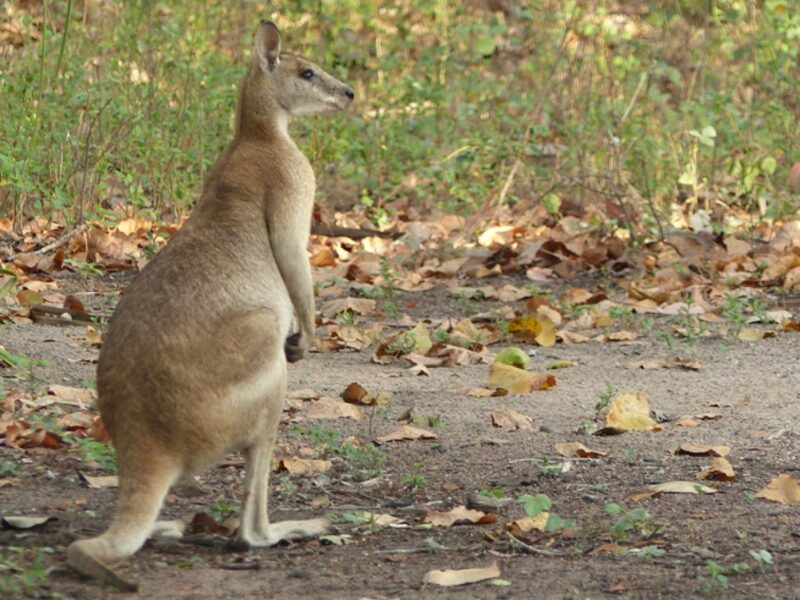 To plan your own Australia holiday, send us an online enquiry. 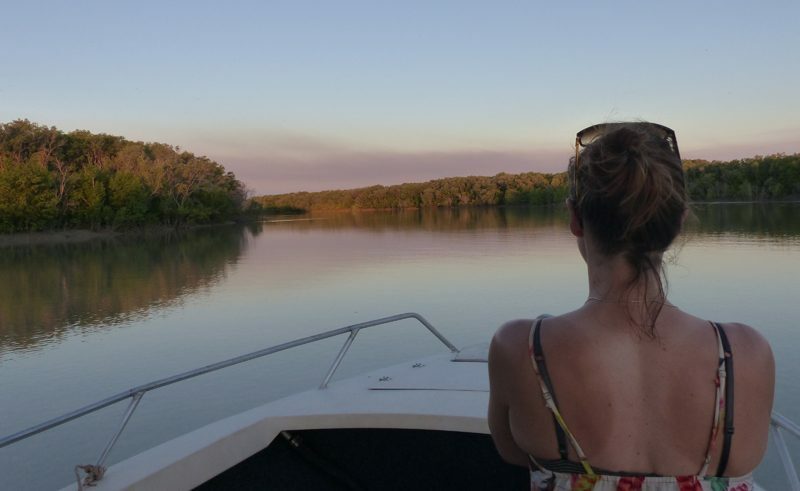 Australasia Product Executive, Naomi, explains the importance of Arnhem Land in the Northern Territory and why it defines Australia. Our in-house Travel Writer, Will Gray shares his top three 'must-visits' when heading to Australia and New Zealand's World Heritage Sites.